Tis the season. 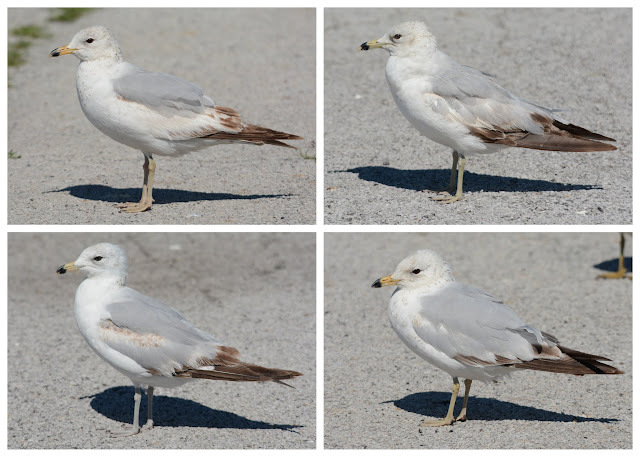 Complete prebasic molts are well underway in our gull species. My local Ring-billeds make observing this phenomenon rather easy, and upon close observation, one can actually see the new 2nd generation wing coverts coming out of their sheaths. First cycle Ring-billeds. Tinley Park, IL. 01 June 2015.